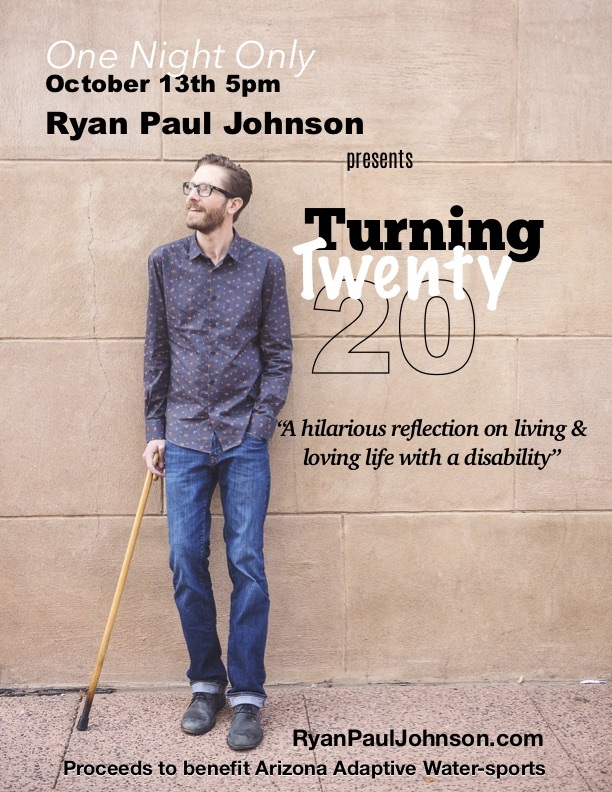 Ryan Paul Johnson presents Turning 20: A Hilarious Reflection on Learning to Live and Love Life With a Disability. In 1999, at the age of 18, Ryan’s life was forever changed when he was paralyzed from the neck down in a snowboarding accident. The doctors thought he would die due to complications from the fall. If he lived, they we’re certain he’d never walk again. Not only did he survive, through hard work and determination, Ryan regained much of what he lost in the crash. Please join Ryan Paul on Sunday, October 13th as he recounts what it’s been like learning to live and love life with a disability.